Jackalope Bakes believes in treats. Treats that are classic, delicious, and made from scratch. We use local products when we can because it’s important to support businesses in our community. But in order to keep our treats affordable, we use ingredients produced in other fine communities as well. Each month, we donate 10% of our profits to a charity doing work that is meaningful to us. Our charity of choice for April 2019 is Portland Homeless Family Solutions. I grew up in Arlington, Virginia, and have lived on the West Coast for over a decade, moving to Portland in 2016. I always enjoyed baking but for most of my life didn't do it more than any other regular person. That changed a few years ago, when I decided that summer was going to be the Summer of Pie. 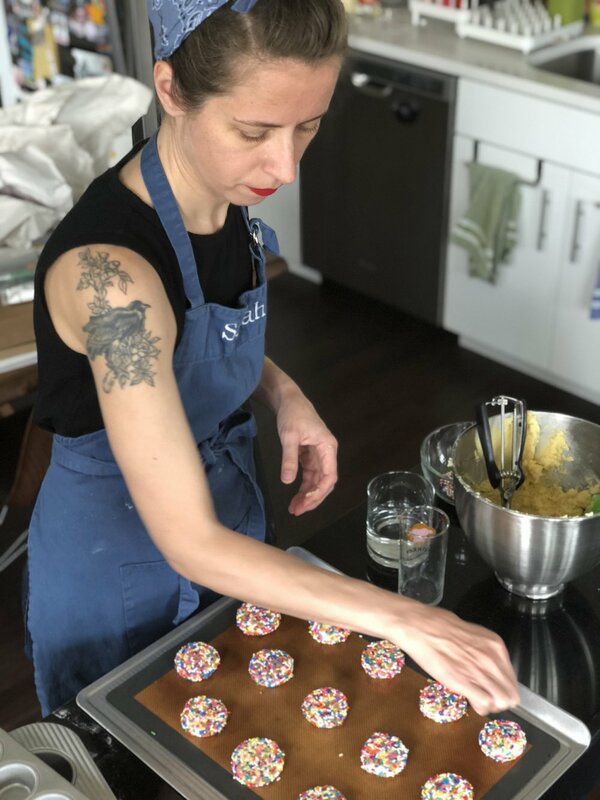 I don't currently specialize in pie (cookies are more my jam), but that summer kicked my baking into high gear and helped me realize that baking makes me happy, which eventually led to the birth of Jackalope Bakes. I like the idea of baking the world a better place, so it's important to me that Jackalope Bakes should do good while satisfying people's sweet tooth. That's why each month we donate a portion of our profits to a different charity, usually one that's local to the Portland area.